She organized against capitalism and government, and she also helped organize the IWW (Industrial Workers of the World). Described by the Chicago Police Department as “more dangerous than a thousand rioters” in the 1920s, Parsons and her husband had become highly effective anarchist organizers primarily involved in the labor movement in the late 19th century, but also participating in revolutionary activism on behalf of political prisoners, people of color, the homeless and women. She died in a house fire in 1942 in Chicago. Government agents searched her home after the fire and removed many of her papers. Most of her writings have been lost to history. 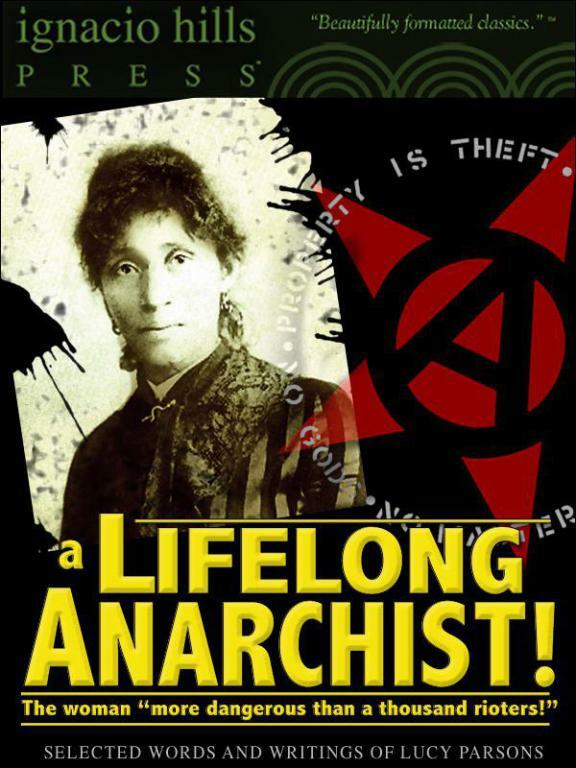 Very cool, although wasn't she not a lifelong anarchist? As I understood it she worked with the CP in the 1920s and 30s and maybe have joined the CP. There's no documented indication that she joined the CP, but it's true that she worked almost exclusively with them from the mid-1920s (through her work with the International Labor Defense, a pro-Moscow front group) through her death in 1942. During her sojourn with the Stalinists, she was -- sadly -- a "useful idiot," bringing a little radical cred to an otherwise transparently authoritarian outfit. A lot of her Wobblie colleagues went with the CP - Elizabeth Gurley Flynn in particular - which may be why she worked with them. Many of her anarchist comrades were, of course, deported in 1919.